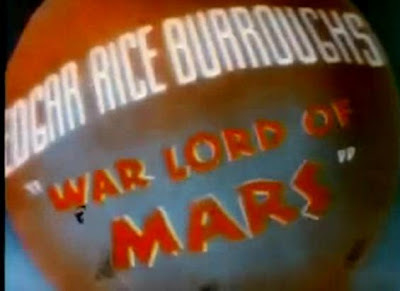 In 1931, Looney Tunes director Bob Clampett approached Edgar Rice Burroughs to adapt A Princess of Mars into a feature length film. Burroughs responded enthusiastically to the idea, recognizing live action would have limited where an adaptation could go visually, but advised Clampett to write an original adventure for Carter. 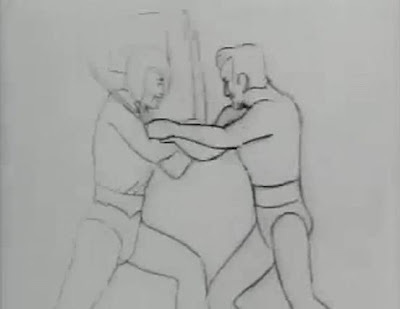 Working with Burroughs' son John Coleman in 1935, Clampett used rotoscope and hand-drawn techniques to capture the action, tracing over the motions of an athlete who performed John Carter's powerful movements in the reduced Martian gravity. Clampett designed Tharks, the Green Martians of Barsoom, which he attempted to give a believable appearance, and produced footage of them riding eight-legged thoats at a gallop, which showed all eight legs in coordinated motion. He also produced footage of a fleet of rocket ships emerging from a Martian volcano. 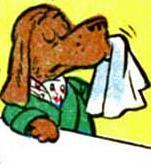 MGM was to release the cartoons, and studio heads were enthusiastic about the series. Unfortunately, the footage received negative reactions from exhibitors across the US, especially in small towns, many of whom opined that the concept of an Earthman on Mars was too outlandish for Midwest American audiences. The series was not given the go-ahead, and Clampett was instead encouraged to produce an animated Tarzan series, an offer which he later declined. Clampett mused that there was irony in MGM's decision, as the Flash Gordon series released in 1936 by Universal Studios was highly successful, and speculated that MGM thought that serials were only played to children during Saturday Matinees, and the John Carter tales would be seen by adults during the evening. The footage Clampett produced was for many years believed lost until Burroughs' grandson, Danton Burroughs, found some of the film tests in the Edgar Rice Burroughs Inc. archives in the early 1970s. Had A Princess of Mars been released, it would have beaten Walt Disney's Snow White and the Seven Dwarfs to become the first American feature-length animated film by five years. Eclectic and eccentric, the rogue polymath known as the Hong Kong Cavalier is the secret identity of Anthony Wayne Conn...a thirty-something example of far too much television and way too many comic books in the 1980s. He will charge if spooked.